Mike has been running the Lettings and Management department since he joined in 2011. Main responsibilities include; collecting rents, paying landlords, contractors, reconciling the account. He is also responsible for valuing and bringing in news business. 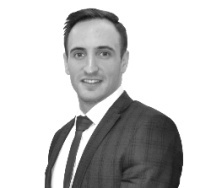 He has a very ‘hands on’ approach with all aspects of the lettings process and always makes himself contactable. This includes being the emergency out of hours contact ensuring everything is dealt with efficiently and as cost effectively as possible. He has been hugely instrumental in project managing the creation of our brand new bespoke website, along with helping to rebrand our company recently to help raise our profile locally. He is always looking at ways of streamlining the business for the future and to ensure all our clients get a great experience. Mike formerly worked as an Installation Manager and therefore has vast amount of experience in ensuring the quality of tradespeople and their standards of work and has built a trusted portfolio of local reliable contractors. He attended Tunbridge Wells Grammar school for boys and when he is not at work, he enjoys spending time socialising with friends and family, going to the gym.